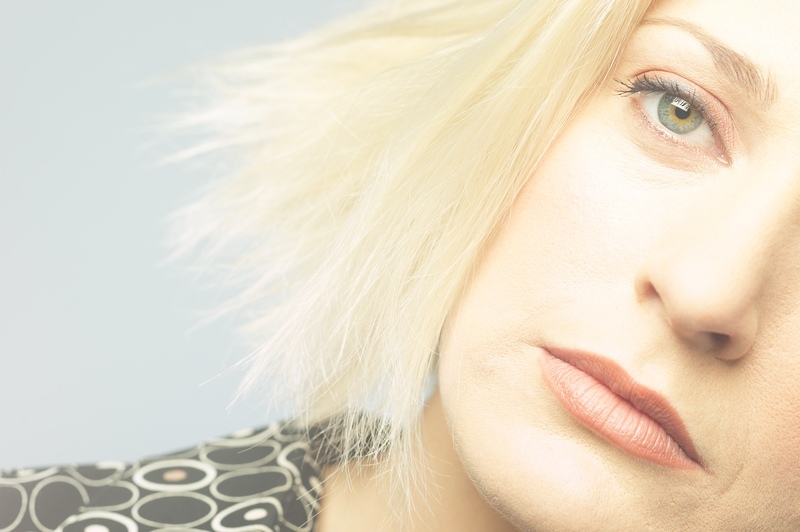 The treatment of anhedonia and bipolar depression can be very difficult. An article published in Translational Psychiatry in October of 2014 highlights the role of glutametergic transmission in anhedonia and points to the potentially unique efficacy of ketamine in treating this stubborn problem. Anhedonia, the lack (an-) of pleasure (-hedonia), is one of the 2 main symptoms of a major depression. But traditional treatments for depression often don’t have positive effects on this symptom, at least directly or immediately. There is in fact no approved treatment for anhedonia. We have had some success using dopamine agents such as pramipexole to treat anhedonia, but there are side effects and responses quite variable. In this study, from the Experimental Therapeutics and Pathophysiology Branch of the National Institute of Mental Health, 36 patients with treatment resistant bipolar depression were treated with a single ketamine infusion to see if ketamine could reverse their anhedonia. Indeed, ketamine rapidly reversed anhedonia and the effect on anhedonia appeared to be independent of the effect of ketamine on other depressive symptoms. In other words there was evidence that ketamine was specifically targeting anhedonia. 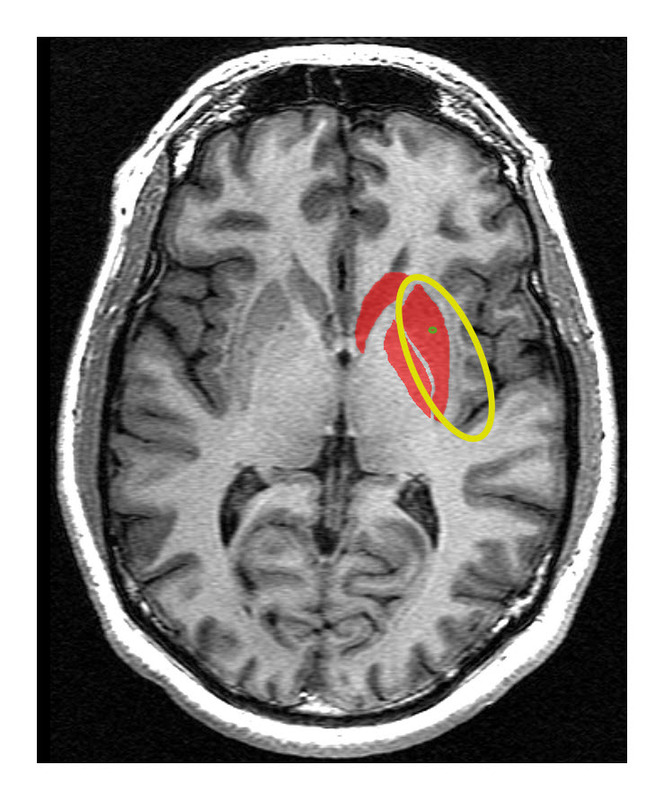 A subset of the patients were studied using positron emission tomography which measures brain activity, in this group of patients reductions in anhedonia was highly correlated with increased glucose metabolism in the dorsal anterior cingulate cortex and putamen. 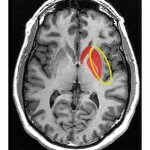 The anterior cingulate cortex (see image to the right) which lies underneath the prefrontal cortex, regulates a number of functions but is especially important in reward anticipation and reward mediated behavior. 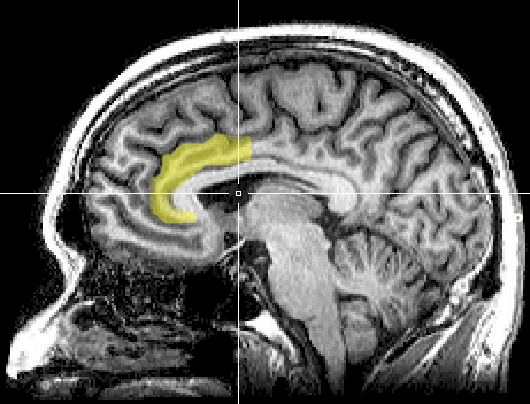 The putamen (see image to the left), lies beneath the anterior cingulate cortex and laterally and is part of the basal ganglia which are involved in the regulation of motor functions, particularly smooth motion, and contain dopamine neurons which are selectively lost in Parkinson’s disease. 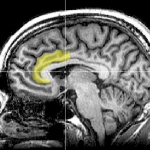 The study is quite compelling because its findings make sense given what we know of the functions of these 2 areas in the brain and the relationship to the neurotransmitter dopamine, which appears to be a key neurotransmitter involved in the experience of pleasure and the motivation of behavior due to the anticipation of reward. Readers of this blog may recall another article we recently posted (a presentation by Mark Fry at the International Society of Bipolar Disorder conference in Korea this past year) that looked at another medication that is helpful in the treatment of bipolar depression, lamotrigine, which is an NMDA receptor blocker just like ketamine, which proposed a central role for the NMDA receptor in bipolar depression. Another aspect of this article that I find intriguing is the identification of a syndrome, which is associated with major depression, but which doesn’t occur in all people with depression, that appears to have specific treatments. One of my long standing pet peeves is the notion that certain pharmacological agents are called antidepressants, which seems to imply that they specifically treat depression, although they have effects on some but not all of the symptoms of the disorder, and may even make some patients with depression worse. In my own mind, major depression is not one disorder but a set of disorders with different pathophysiology and probably different treatment. The full text of the article is available free.